PBO teachers to share their favorite resources to learn Spanish!. Have you learned a lot of Spanish during the last week? I hope you did. As you know, coming to one or more of our conversational classes @ PBO is probably the best way to learn the language. However, there’s plenty of things you can do when you’re not in class to keep learning and improving your skills, even when you are not at PBO. Out there, the amount of resources to learn Spanish is so big that it can be hard to find the best ones. In fact, it’s hard to determine what are the best resources, because every student is different and something that works for someone might not be ideal for someone else. This week, we asked the PBO teachers to share their favorite resources to learn or to practice Spanish with us. Today we’re going to see half of them, and next week the other half. Here we go! 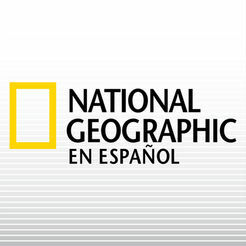 This is the official magazine of the National Geographic Society. It primarily contains articles about science, geography, history, and world culture. It has excellent and very assorted articles. “Muy interesante” is a monthly popular science magazine which deals with fun facts and current events, such as the development of nanotechnology, physics, biology, astronomy, genetics, neurosciences, new investigations and inventions, and world affairs. As the name says in Spanish, its articles are very interesting. A public radio station licensed to Tijuana, Baja California, owned by IMER (Instituto Mexicano de la Radio), Mexico‘s public radio network. Like the Public Radio stations in the United States, IMER presents a variety of discussion and music programs. It’s a good choice to listen to while driving. BBC Mundo is the BBC’s service for the Spanish-speaking world. It is part of BBC World Service. The website offers news, information and analysis in text, audio and video. Cody and María want to help you improve your Spanish and get over the fear of actually using it in real life. They bring you tips, fun facts, listening activities, and lessons. Their videos are subtitled in both Spanish and English, show local language and culture in natural, everyday situations, and mostly consist of street conversations with native speakers from Spanish speaking countries. Short and entertaining videos about grammar explanations for Spanish learners of all levels. These are all the resources for this week. Perhaps you know some of them, but don’t worry if you didn’t find anything new, next week we’ll introduce more resources. Oh! And thank you PBO teachers for sharing them with us :). Pura Buena OndaPura Buena Onda BlogPBO teachers to share their favorite resources to learn Spanish!